If you're fed up of boring yellow post-it notes, this mini pad of sticky notes from NPW is just the answer! 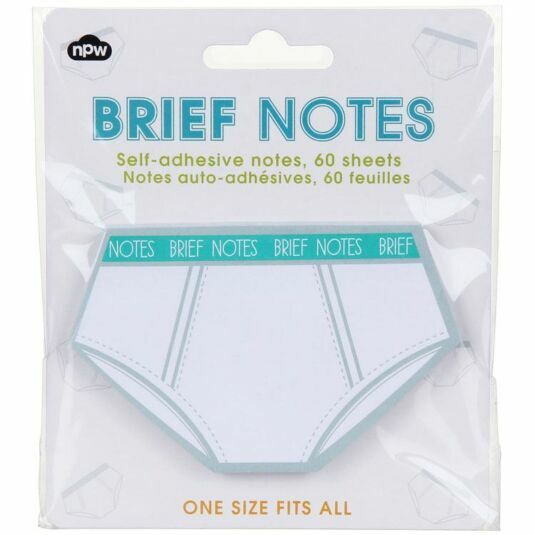 These self-adhesive sticky sheets are perfect for all your ‘brief’ notes. They have been designed in the shape of underwear, making for a clever and humorous play on words. Perfect for leaving yourself or others helpful reminders, this is the only time it’s ok to leave your briefs lying around! This pack comes with 60 sheets.